We're celebrating our 150th Anniversary. The date 10 October 2017 was the exact anniversary of our legislation being signed and we marked the date with a special New Zealand Research Honours event (view photos from the event and read the President's speech). Along with many events we published a book on our history, ran educational activities, and shared many stories about our history and the ideas and discoveries of our members to help us celebrate our past and look to the future. We continue to celebrate the contributions of women researchers and a selection of Māori books (coming soon) and learning what some of our early career researchers are discovering. Explore this area of the website to learn more about our history an the discoveries of our members, past an present. Historian John Martin has written a history of Royal Society Te Apārangi spanning from 1867, when our organisation was set up as the New Zealand Institute, to today. In 1867 in the small settlement of Wellington, New Zealand, two men keen to promote scientific endeavour spend an evening discussing the 'necessity of establishing a society'. James Hector and William Travers will find a receptive audience in Governor George Grey, Premier Edward Stafford, Speaker of the House David Munro, and other luminaries such as naturalist Walter Mantell. 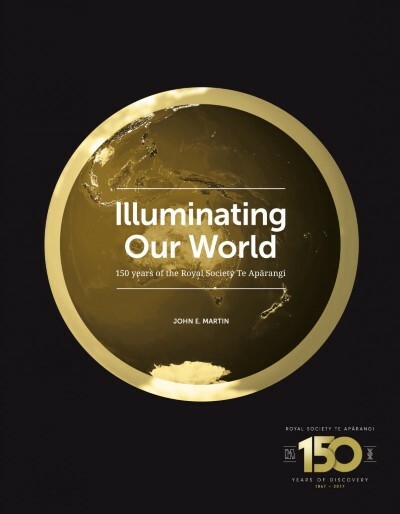 One hundred and fifty years later, what began as the New Zealand Institute and is today the Royal Society Te Apārangi stands as one of the world's oldest and most respected independent organisations of its kind. Embracing science, technology, social sciences and the humanities, it is an important advisor to government, administers prestigious research funds, honours achievement with a suite of fellowships, awards and medals, carries out popular public programmes, and seeks and manages vital international relationships and contracts. Not all the time in between was plain sailing. The body frequently faced financial problems, and at times political resistance. Its publications, invaluable records of research, often struggled to survive. Controversy swirled around some of its activities. On several occasions it had to reform itself fundamentally to respond to the broader environment. That it not only made it through but rose to pre-eminence is a testament to the willingness of its members to seize opportunities and embrace change. Today the Society's twin goals of fostering excellence and promoting knowledge make it a vital player in New Zealand's 21st-century knowledge society. Summary: Historian John Martin has written a history of Royal Society Te Apārangi spanning from 1867, when our organisation was set up as the New Zealand Institute, to today. You have requested to order multiple books. You will be contacted directly about your order to combine postage.